I know your SOUL is yearning to be unleashed. You know you are here to do something extraordinary... to be an agent of change... to be a powerful healer who brings forth new love and possibility to your life, family and world. You have been that unique, connected, creative (and often unconventional) rare kind of soul who awoke to the insanity she saw around her from very young and chose a different way! "The buck stops with me!" you said! And by bringing your unique wisdom, heart and viewpoint out, our world will be forever changed. Or at least that's the road you know you're meant for. And you're finally ready for that just as rare kind of support from someone who will get your depths, help unleash the brilliance of your soul and guide you in bringing out your message and mission powerfully... but only in the soulful, guided way your soul longs for. And because this mission means so much, you've also likely questioned yourself deeply. You've wondered if you're ready, if you know enough, if you have what it takes? But this deep calling won't wait any longer and so you're finally ready for that someone who has been there, in the longing, struggle, insecurities and overwhelm AND has the cutting edge tools (and gentle feminine grace) to powerfully ignite your spirit and a deep soul-fueled confidence that naturally propels you into the life you're here to live. Yes, owning your purpose and gifts and sharing them is the most exciting, natural experience when you are connected, confident and clear and you know you are ready for this! The kind of support that will powerfully activate the healer in you, expand your consciousness deeply, enhance your leadership and transformational capacities, all while showing you how to get out there and effectively make a great impact. You're ready for this and if you allow yourself, you're about to embark on a journey that will transform what you know about yourself, life and your potential... and help you finally get your heart and wisdom out to our world. Welcome beautiful sister. We've been waiting for you. 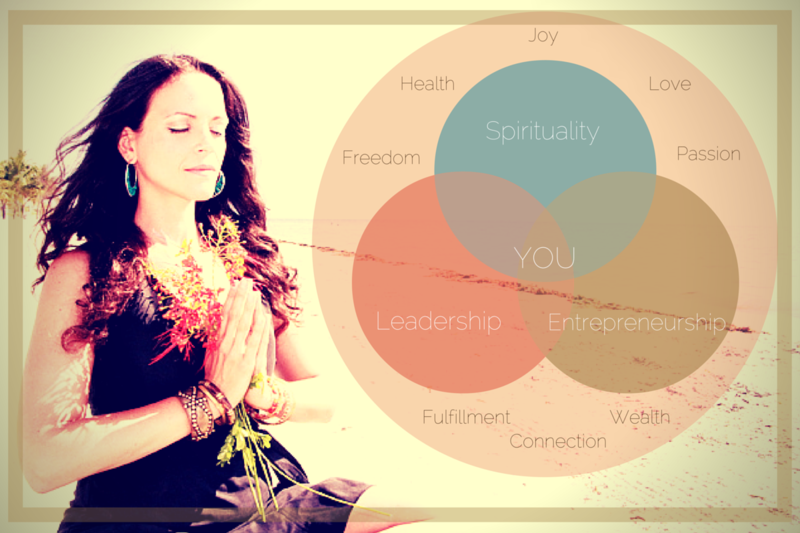 To learn more about my 1-on-1 coaching & mentorship programs for aspiring coaches, healers & leaders HERE. To take part in the premier GROUP mentorship starting April 2016 "Birth Your Big Vision: The Feminine Leadership Launchpad for Your Enlightened Business" click HERE. FREE eBOOK for Igniting your Life Purpose "3 Hidden Blocks Keeping You from Sharing Your Gifts & Changing Our World!"